Give a little bit of Ireland this holiday season. Natural products from the Burren Perfumery! Great options: Man of Aran for him and Ilaun or Summer Harvest for her – available as fragrance, lotion, and castile soap. I swear by the Rosehip Oil facial serum for keeping fine lines and deep wrinkles moisturized and less noticeable. If you have a gardener (or someone else who works with their hands) to buy for I highly recommend the Gardener’s & Harsh Conditions Hand Cream. It’s lovely. Pick up a few of the wonderful bar soaps as small gifts or stocking stuffers. The beauty and craftsmanship of Boru Jewelry just blows me away. Their collections, created in their workshop at the base of the Dublin Mountains, hold the passion and beauty of Ireland. Stunning pieces for men and women starting under $150. For Her: a Tara’s Diary bracelet and charms. Shop The Irish Store Online – you’ll find gifts for the whole family! Bring a bit of Ireland to you! The My Ireland Box subscription box is like getting gifts from Ireland on a monthly basis. Each month has a different theme and delivers the best of Ireland’s artisan’s to your door. 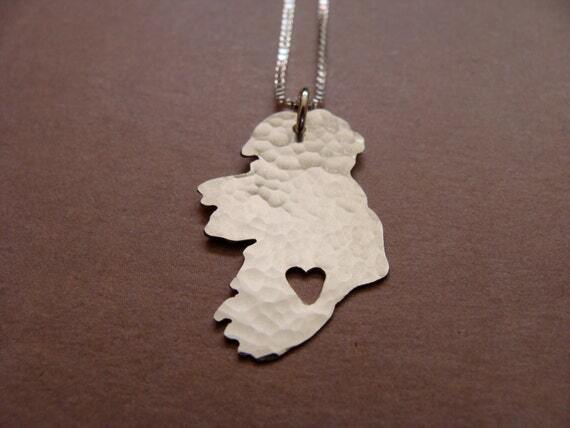 Looking for more great Gifts from Ireland?